Dozens of cities across Russia and abroad on Saturday joined huge celebrations marking 70 years since victory over Nazi Germany in WWII, Ruptly’s interactive map shows. 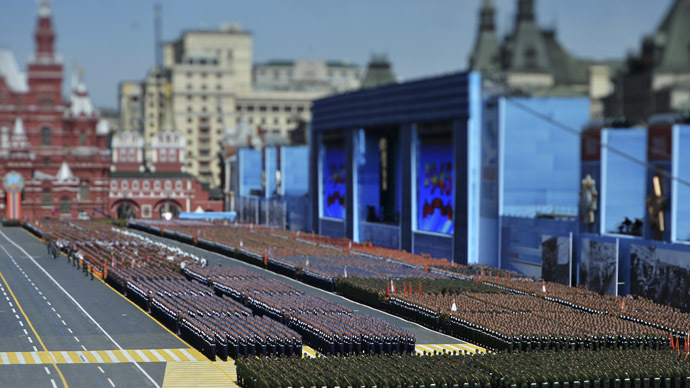 Military parades were held all over Russia, from the country’s Far East to Kaliningrad. A total of 26 cities took part, while ceremonies devoted to Victory Day were held in more than 150 locations across the country. About 85,000 servicemen from the Russian Armed Forces took part in celebrations, the Defense Ministry said. Celebrations were also held in Ukraine, Bulgaria, Estonia, Belarus and many other countries worldwide. In Europe, commemorations started Friday as Nazi Germany’s Instrument of Surrender came into force at 22:43 CET on May 8, 1945. In Moscow it was already 00:43, on May 9.